This product is excluded from promotions. Meet our iconic, "can't live without" shape tape concealer & discover why one is sold every 12 seconds*! 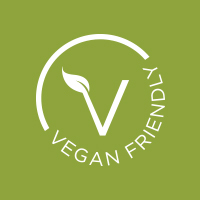 This vegan, super-blendable formula instantly helps brighten, smooth & give the skin a firmer, more lifted look. Oh & by the way, we’re America’s #1 concealer brand**. We’re kind of a big deal. 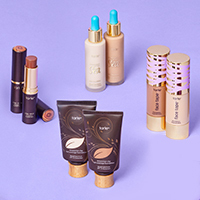 tarteist™ tip: Wear concealer 1-2 shades darker for creamy contouring and 1-2 shade lighter as a luminous highlighter. Makes skin look totally flawless, never fake. A little bit goes a long way, hiding everything from acne scars & dark circles to redness & pores. net 10ml / 0.3381 fl.oz. fair, light medium Ingredients: Water/Aqua/Eau, cyclopentasiloxane, cyclohexasiloxane, methyl methacrylate crosspolymer, butylene glycol, PEG-10 dimethicone, trimethylsiloxysilicate, sodium chloride, cetyl PEG/PPG-10/1 dimethicone, 1,2-hexanediol, aluminum hydroxide, amyl cinnamal, benzyl salicylate, butyrospermum parkii (shea) butter, convallaria majalis bulb/root extract, dimethicone/vinyl dimethicone crosspolymer, disodium EDTA, disteardimonium hectorite, ethylhexylglycerin, geraniol, glycyrrhiza glabra (licorice) root extract, helianthus annuus (sunflower) seed oil, hexyl cinnamal, hydroxycitronellal, leontopodium alpinum flower/leaf extract, lilium candidum flower extract, limonene, linalool, magnolia liliflora flower extract, mangifera indica (mango) seed butter, olea europaea (olive) fruit oil, paeonia lactiflora root extract, parfum/fragrance, phenoxyethanol, TBHQ, tocopherol, triethoxycaprylylsilane, triethyl citrate, ulmus davidiana root extract. (+/-): Titanium Dioxide (CI 77891), iron oxides (CI 77491, CI 77492, CI 77499). 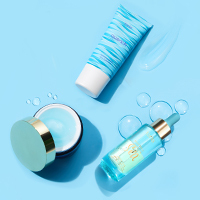 light, deep Ingredients: Water/Aqua/Eau, cyclopentasiloxane, methyl methacrylate crosspolymer, cyclohexasiloxane, butylene glycol, PEG-10 dimethicone, trimethylsiloxysilicate, sodium chloride, cetyl PEG/PPG-10/1 dimethicone, 1,2-hexanediol, aluminum hydroxide, amyl cinnamal, benzyl salicylate, butyrospermum parkii (shea) butter, convallaria majalis bulb/root extract, dimethicone/vinyl dimethicone crosspolymer, disodium EDTA, disteardimonium hectorite, ethylhexylglycerin, geraniol, glycyrrhiza glabra (licorice) root extract, helianthus annuus (sunflower) seed oil, hexyl cinnamal, hydroxycitronellal, leontopodium alpinum flower/leaf extract, lilium candidum flower extract, limonene, linalool, magnolia liliflora flower extract, mangifera indica (mango) seed butter, olea europaea (olive) fruit oil, paeonia lactiflora root extract, parfum/fragrance, phenoxyethanol, TBHQ, tocopherol, triethoxycaprylylsilane, triethyl citrate, ulmus davidiana root extract. (+/-): Titanium Dioxide (CI 77891), iron oxides (CI 77491, CI 77492, CI 77499). medium Ingredients: Water/Aqua/Eau, cyclopentasiloxane, cyclohexasiloxane, butylene glycol, PEG-10 dimethicone, methyl methacrylate crosspolymer, trimethylsiloxysilicate, sodium chloride, cetyl PEG/PPG-10/1 dimethicone, 1,2-hexanediol, aluminum hydroxide, amyl cinnamal, benzyl salicylate, butyrospermum parkii (shea) butter, convallaria majalis bulb/root extract, dimethicone/vinyl dimethicone crosspolymer, disodium EDTA, disteardimonium hectorite, ethylhexylglycerin, geraniol, glycyrrhiza glabra (licorice) root extract, helianthus annuus (sunflower) seed oil, hexyl cinnamal, hydroxycitronellal, leontopodium alpinum flower/leaf extract, lilium candidum flower extract, limonene, linalool, magnolia liliflora flower extract, mangifera indica (mango) seed butter, olea europaea (olive) nbsp;fruit oil, paeonia lactiflora root extract, parfum/fragrance, phenoxyethanol, TBHQ, tocopherol, triethoxycaprylylsilane, triethyl citrate, ulmus davidiana root extract. (+/-): Titanium Dioxide (CI 77891), iron oxides (CI 77491, CI 77492, CI 77499). tan Ingredients: Water/Aqua/Eau, cyclopentasiloxane, cyclohexasiloxane, butylene glycol, methyl methacrylate crosspolymer, PEG-10 dimethicone, trimethylsiloxysilicate, sodium chloride, cetyl PEG/PPG-10/1 dimethicone, 1,2-hexanediol, aluminum hydroxide, amyl cinnamal, benzyl salicylate, butyrospermum parkii (shea) butter, convallaria majalis bulb/root extract, dimethicone/vinyl dimethicone crosspolymer, disodium EDTA, disteardimonium hectorite, ethylhexylglycerin, geraniol, glycyrrhiza glabra (licorice) root extract, helianthus annuus (sunflower) seed oil, hexyl cinnamal, hydroxycitronellal, leontopodium alpinum flower/leaf extract, lilium candidum flower extract, limonene, linalool, magnolia liliflora flower extract, mangifera indica (mango) seed butter, olea europaea (olive) fruit oil, paeonia lactiflora root extract, parfum/fragrance, phenoxyethanol, TBHQ, tocopherol, triethoxycaprylylsilane, triethyl citrate, ulmus davidiana root extract. (+/-): Titanium Dioxide (CI 77891), iron oxides (CI 77491, CI 77492, CI 77499). fair neutral, rich Ingredients: Water/Aqua/Eau, cyclopentasiloxane, cyclohexasiloxane, butylene glycol, methyl methacrylate crosspolymer, PEG-10 dimethicone, trimethylsiloxysilicate, sodium chloride, cetyl PEG/PPG-10/1 dimethicone, 1,2-hexanediol, aluminum hydroxide, amyl cinnamal, benzyl salicylate, butyrospermum parkii (shea) butter, convallaria majalis bulb/root extract, dimethicone/vinyl dimethicone crosspolymer, disodium EDTA, disteardimonium hectorite, ethylhexylglycerin, geraniol, glycyrrhiza glabra (licorice) root extract, helianthus annuus (sunflower) seed oil, hexyl cinnamal, hydroxycitronellal, leontopodium alpinum flower/leaf extract, lilium candidum flower extract, limonene, linalool, magnolia liliflora flower extract, mangifera indica (mango) seed butter, olea europaea (olive) fruit oil, paeonia lactiflora root extract, parfum/fragrance, phenoxyethanol, tocopherol, triethoxycaprylylsilane, triethyl citrate, ulmus davidiana root extract. (+/-): Titanium Dioxide (CI 77891), iron oxides (CI 77491, CI 77492, CI 77499). tan sand Ingredients: Water/Aqua/Eau, cyclopentasiloxane, cyclohexasiloxane, butylene glycol, PEG-10 dimethicone, methyl methacrylate crosspolymer, trimethylsiloxysilicate, sodium chloride, cetyl PEG/PPG-10/1 dimethicone, triethyl citrate, disteardimonium hectorite, triethoxycaprylylsilane, phenoxyethanol, dimethicone/vinyl dimethicone crosspolymer, aluminum hydroxide, parfum/fragrance, ethylhexylglycerin, olea europaea (olive) fruit oil, disodium EDTA, butyrospermum parkii (shea) butter, mangifera indica (mango) seed butter, ulmus davidiana root extract, glycyrrhiza glabra (licorice) root extract, helianthus annuus (sunflower) seed oil, phenoxyethanol, convallaria majalis bulb/root extract, leontopodium alpinum flower/leaf extract, lilium candidum flower extract, magnolia liliflora flower extract, paeonia lactiflora root extract, tocopherol, amyl cinnamal, benzyl salicylate, geraniol, hexyl cinnamal, hydroxycitronellal, limonene, linalool, titanium dioxide (CI 77891), iron oxides (CI 77491,CI 77492, CI 77499). mahogany Ingredients: Water/Aqua/Eau, cyclopentasiloxane, cyclohexasiloxane, butylene glycol, PEG-10 dimethicone, trimethylsiloxysilicate, methyl methacrylate crosspolymer, sodium chloride, cetyl PEG/PPG-10/1 dimethicone, triethyl citrate, disteardimonium hectorite, triethoxycaprylylsilane, phenoxyethanol, dimethicone/vinyl dimethicone crosspolymer, parfum/fragrance, ethylhexylglycerin, olea europaea (olive) fruit oil, aluminum hydroxide, disodium EDTA, butyrospermum parkii (shea) butter, mangifera indica (mango) seed butter, ulmus davidiana root extract, glycyrrhiza glabra (licorice) root extract, helianthus annuus (sunflower) seed oil, phenoxyethanol, convallaria majalis bulb/root extract, leontopodium alpinum flower/leaf extract, lilium candidum flower extract, magnolia liliflora flower extract, paeonia lactiflora root extract, tocopherol, amyl cinnamal, benzyl salicylate, geraniol, hexyl cinnamal, hydroxycitronellal, limonene, linalool, iron oxides (CI 77491, CI 77492, CI 77499), titanium dioxide (CI 77891). light neutral, fair beige, light sand, light-medium honey Ingredients: Water/Aqua/Eau, cyclopentasiloxane, methyl methacrylate crosspolymer, cyclohexasiloxane, butylene glycol, PEG-10 dimethicone, trimethylsiloxysilicate, sodium chloride, cetyl PEG/PPG-10/1 dimethicone, 1,2-hexanediol, aluminum hydroxide, amyl cinnamal, benzyl salicylate, butyrospermum parkii (shea) butter, convallaria majalis bulb/root extract, dimethicone/vinyl dimethicone crosspolymer, disodium EDTA, disteardimonium hectorite, ethylhexylglycerin, geraniol, glycyrrhiza glabra (licorice) root extract, helianthus annuus (sunflower) seed oil, hexyl cinnamal, hydroxycitronellal, leontopodium alpinum flower/leaf extract, lilium candidum flower extract, limonene, linalool, magnolia liliflora flower extract, mangifera indica (mango) seed butter, olea europaea (olive) fruit oil, paeonia lactiflora root extract, parfum/fragrance, phenoxyethanol, tocopherol, triethoxycaprylylsilane, triethyl citrate, ulmus davidiana root extract. (+/-): Titanium Dioxide (CI 77891), iron oxides (CI 77491, CI 77492, CI 77499). This product was high quality and fit the description it provided. Very happy and would purchase again! I love this concealer very much. It makes me feel natural and shiny and I feel it is light on my face. Best concealer I’ve ever used, creamy and provides great coverage all day, especially under the eyes. Works really well with the hydrating primer. Not all of the Hype for me?!? I was super stoked to try this! It has great reviews all over. My first feelings on the product....super thick, seemed to settle all of my fine lines. I felt i looked alot older! I was really disappointed. But i could have used the wrong techniques to apply, and the incorrect finishing touches. I will watch application videos and try again! And repost if my results change! This concealer is my absolute first choice when picking concealer, it brightens my skin and covers my dark circles perfectly! This product is amazing it goes on effortlessly and it lasts all day. It makes me look fresh and youthful. I love this!! If you don’t know about this concealer then you’re probably living under a rock! It’s literally the best concealer out in the markets! Mark my words! One of the best concealers out thee! This is a great concealer! It’s the best I’ve tried ever so far! It has good coverage, is good for your skin, and smells great! Hands down, THE best concealer I’ve ever used. Amazing coverage and a little hoes a very long way. Amazing range of shades and tones as well. Conceals and brightens. All I need! This concealer is my favorite ever! 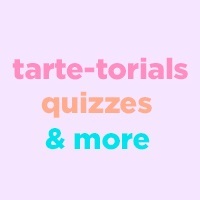 With the quiz the tarte website offers it was easy to find my skin tone. 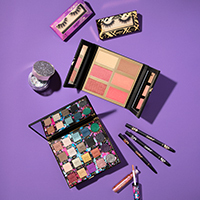 I would definitely recommend this to any one who wants something they can layer because for me I can chose how much coverage I want between school and special occasions! This concealer is AMAZING for contouring. It's perfect for every day quick contour and builds a great base for contouring on nights out! I love this concealer, totally fixes things! Love this concealer. It is my favorite makeup product I own!! It covers anything and looks great. Loved this concealer so much! This concealer was extremely good for my skin. I tend to have oily skin. Super oily and it was able to keep my skin moisturized without adding more oil than normal on my face. My new favorite concealer, highlighter and contourer, I have a big bottle for home and a smaller bottle for on-the-go! blands smooth and doesn't crease. Such a great, natural concealer. Flawless look. Best concealer! Absolutely love the coverage and how long it lasts. Goes on smooth and stays on all day. Only dislike is the bottle. It's hard to get concealer out of the bottom or around the top. Il est couvrant et ne file pas dans les plis. L'applicateur est super doux et pratique. Il tient toute la journée. You can erase any doubt in buying this concealer just like Tarte's Shape Tape Concealer erases any darkness or redness in your skin. This product is the best!!! I LOVE THIS CONCEALER SOOOO MUCH!!!! This is by far my favorite product! Best concealer ever. Great full coverage concealer. Hides all my dark spots. Love it. I love this concealer! Great coverage and smooth finish. Definitely recommend everyone to purchase this! Great product but at the same time, terrible. This concealer is great for full coverage and applies very well. Although, it dries the skin so much and your skin looks flaky and dry. Even when your skin is moisturised it still turns out dry during the day. It looks patchy and doesn’t last for a long time at all, i finished this product in less than 3 months and i do not use a full face of makeup, i only use this under my eyes and on my forehead and chin. I have very oily skin but this product still manages to dry my skin out. It moves a lot during the day and does not last all day even with a setting powder. Wouldn’t recommend this but still full coverage and good colour and consistency. No under eye circles here! I’ve always loved shape tape! It’s definitely perfect for a night on the town because it is most definitely full coverage! I usually don’t wear it during the day because i go for of a light/medium natural coverage. Overall, it’s a great product ! The best of the best ! Full coverage. The best I’ve ever tried. ! This has been my favorite concealer for about 3 years now! Concealer stays in place and even after wearing it for 10+ hours, it still looks flawless and doesnt crease.I love it so much! 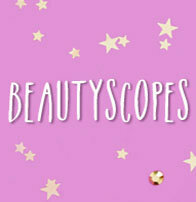 A lot of the beauty bloggers that i watch use this and it definitely stood up to its expectations! Tube constantly leaks and ruins my clothes! While I absolutely love this concealer, it is constantly leaking and splashing when I close the tube. So much concealer goes to waste and he bottle leaks once it’s closed. It has happened over ten times now and the splashing even ruined some clothes of mine. While my face looks great, my nice silk white shirts that get splashed on with the tube when I’m getting ready for work in the morning, DO NOT. I’ve purchased new bottles to see if it was just a one time thing, but no luck yet. I have photos to prove my ruined shirts. 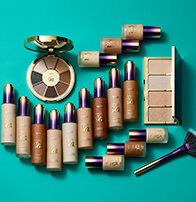 So sad with tarte, have been loyally using various products for years now! I saw lots of beauty gurus using this on YouTube so I decided to try it out. I heard great reviews and so I tried my cousins concealer for a xmas party, and I couldn’t stop getting compliments all night !! I was given some as a gift last Christmas. It was a fabulous concealer but the wrong colour for me, so I thought I would try the better shade. Amazing reviews so just had to try it! I already have one and it’s my favorite, tried others but did not match my needs as much a this ! Allie B Stuckey recommended it. I was looking for my first concealer and was recommended this one. Best concealer around. No crease. Solid coverage. Easy blend. Can go with just this concealer for a natural look. My favorite concealer of all time. This is my daily warrior. I have very dark circles under my eyes, this with some blush and I am good to go everyday. Heard great things about it! Have tried the amazian clay and rainforest, wanted to try the tape! Ive heard amazing comments about it and my friend has one who says it great so thought i may as well prove her right! Heard amazing things! Love the applicator versus a squeeze bottle. Because my winter shade is awesome and summer is coming! how do i find my perfect shade in this concealer?? There’s a website called Findation that allows you to see which shade of a certain brand of concealer is best for you based on the shades you use from other brands! Check youtube reviews for someone that is a similar shade to you. They’ve bought out new shades so that makes things much better. But prepared to end up with the same shade like I did. I’ve found the right shade medium tan sand (for reference I use y405 from makeup forever) and gave the wrong one medium to my sister because it was far too pale for me. Hi when I was indecisive about the shade to get I went on the tarts website and went to the shade descriptions . It was very helpful and may me decide quickly on what shade to choose . I used the shade description then picked one lighter so it brightens my under eyes. I have terrible dark circles and shape tape covers them! check the pictures at the bottom & ask some one who has one if you can see their shade & use it to compare! i have a light skin with yellow undertone,i have dark under eyes as well! what shade shall i use to cover this darkness? I use the shade - fair- as it is bright and perfect for under eye dark circles. It covers them brilliantly. How do I find my true shade ? Hi, I had the original medium color. Which shade is the same color as that not that there are multiple medium shades with undertones? the added colors have me a bit confused, I am a huge fan and used medium which was perfect. what shade do I use now that is equivelant? Could you tell me how much product is in the bottle? BEST ANSWER: There is 10mL of product in each concealer! This concealer has 10ml of product in it. But a little goes a long way!! 0.34 ounces, which is 9.6 grams. No, but it has a lot to do with what powder you're setting it with. If you use it with a powder that doesn't have flashback, you should be all good. YES! I'm guessing that it may differ between different shades. But the shade Fair DEFINITELY has major flashback. No! I use 29N Light Medium and set with LM secret brightening powder for under eyes. I use light medium for covering blemished but want the two shades lighter to brighten under eyes. What shade should I use? I would suggest using either medium-sand or light-medium. It really depends on the undertones of you face! Does this concealer show creases under the eyes or blends with them? BEST ANSWER: I don’t get creases with this concealer. I usually apply it at around 7am and it still looks pretty flawless after a 12 hour shift! I wash it off around 8.30-9pm. Most of the time I apply Ben nye banana powder as a transculent powder and it gives a flawless finish, however if I am in a rush and forget to apply it, I’ve never noticed any obvious creases. Probably the only concealer I’ve ever used that doesn’t crease.. I usually set it with some translucent powder and it holds up just fine throughout the day. There may be some creases after a long wear, however, I found that it is one of the best concealer in the market in terms of coverage and how long lasting it is. 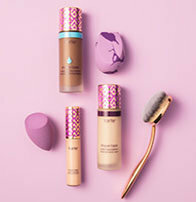 If you are worried about creases, you might wanna try the tarte creaseless concealer, love that one too! Yes to above! Use a hydrating primer, and use a damp beauty blender. It absolutely DOES crease under the eye...in my case even after using eye cream, using a damp beauty blender, and setting it with Tarte's translucent powder. I'm 29 and have some fine lines, but nothing crazy. This creases way worse than foundation alone. 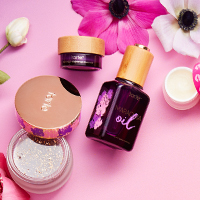 Let´s tell what anybody says, yes, it creates creases under your eyes, even if you blend that out, so yo have to blend so quickly if you want to avoid them. No, it does not crease. Long lasting, I use with LM secret brightening powder for undereyes and doesn’t crack, crease or disappear after 10-12 hrs of wear. it shows creases under the eye and you should bake your under eye and hydrating eye cream before concealer. If you prepare your skin before and use a damp beauty blender you will have a flawless finish!! I have found that it “erases” creases! Blends into skin beautifully. 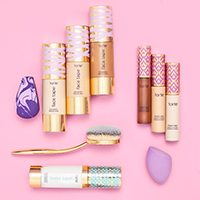 Is tarte shape tape concealer non comedogenic? I have fair skin with cool undertones what shade would suit be best ? I use fair beige to conceal and light is pretty near my skin tone. What shade should I use to contour? BEST ANSWER: You should go 1 to 2 shades darker in the undertone (cool, neutral or warm) that you use that's closest to your actual skin. It will look the most natural. So if light is close to your skin's actual color, go 1-2 shades darker in that same undertone category. I wear 5.75 cork from Clinique what colour concealer would you recommend? what is the use of this product? BEST ANSWER: Our shape tape concealer is ideal for brightening the undereyes, masking blemishes, and highlighting and contouring the face! You can use the shape tape to brighten your face up or cover something up! It can contour or highlight your face up so I definitely recommend buying it! Works great under my eyes and down the sides of my nose where I have redness. I use this for underneath my eyes to conceal the dark circles. Works well! 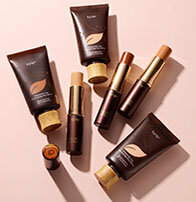 it is a concealer that is used to brighten under eyes and minimize pores. It’s best for concealing dark circles, blemishes and even redness! It brightens the under eye area and provide great coverage. My aunt is going to America and is going to get me shape talent but how do I decide the shade? I am very light skinned and I'm using Light Medium Honey. Its the perfect shade for me. It doesn't look too dark or too light. I would do two shades lighter than your foundation. 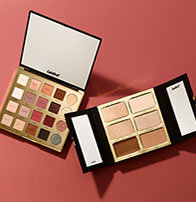 i use fair beige (fair skin pink undertones) and i'd love to use this for highlight and contour as well, but no idea how to choose those shades? help! Use the same undertones but just one or two shades lighter and the same for the contour color but just go one or two shades darker. if i use 35S Medium Sand shape tape hydrating foundation and I want to use this concealer to cover acne scars, what would be the best shade for me? I’m trying to purchase a few for my kit. I can’t afford all 30. What are your must have’s? I wear 3c1 in eldw, which shade should I choose? BEST ANSWER: We would recommend the shade light-medium beige! I read that shape tape is not non-comedogenic but it is dermatologist tested. What does that exactly mean? My skin breaks out easily with pore clogging makeup so it would be helpful to know if this clogs pores and can cause breakouts for oily acne prone skin. Thanks! BEST ANSWER: While this product is dermatologist tested, we always recommend consulting your physician if allergies are a concern! I wear 20B in the new Face Taoe Foundation. Which shade would work for my undereye concealor? BEST ANSWER: We would recommend brightening with 12B fair beige! i wear a 12s in the matte shape tape foundation, I know concealer is supposed to be lighter. Do i get a shade lighter or get the same shade assuming it's already lighter? I wear sephora foundation in porcelain which colour should I use? How can we use this product? BEST ANSWER: The shape tape concealer can be used to cover blemishes, brighten the undereye area, and contour and highlight the face! We recommend using the quickie blending sponge to create a seamless finish! Absolute holy grail item for me & a must-have in my makeup kit. I've used this to contour, highlight, conceal and even in substitute for foundation on days when I'll add in a bronze contour on top! Comes with a TON of product, so worth the price. Lasts a long time & the quality/formulation is incredible. The shape tape concealer puede ser usado de muchas maneras como; corrector de imperfecciones, iluminador de área de la ojera Y mil maneras más. Es un excelente producto. You can use it underneath your eyes to conceal dark circles or just to brighten. It also works well over areas of redness since it’s sk high coverage. Apply a lighter shade under eyes to highlight and can also use a darker shade for counter. Blend with damp spounge or brush and there ya go! The shape tape concealer can cover things, brighten your face and contour or highlight your face! I definitely recommend buying this! You can use it to correct discoloration on the skin, to highlight and also to cover dark circles. Hides and smooths imperfections on skin to show flawless finish. Use it to cover dark circles and to brighten the area.